Happy New Year 2018 cartoon. 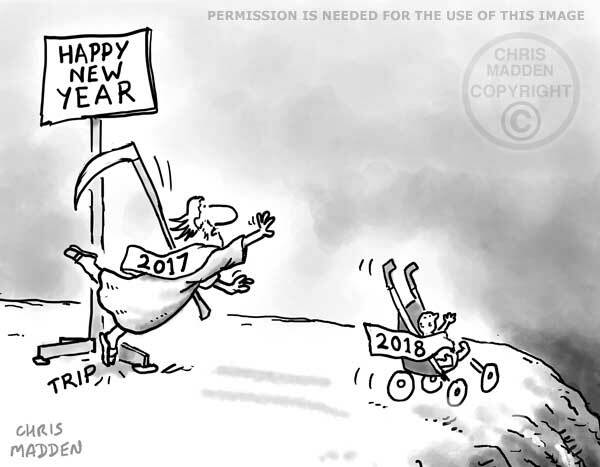 The cartoon shows the old year 2017 (Father Time) pushing the baby New Year 2018 in a baby buggy. Father Time is tripping over the base of a Happy New Year sign, sending the new year rushing forwards out of control.